Many, many years ago, recording artist Iggy Pop was asked how he came to name his band The Psychedelic Stooges. 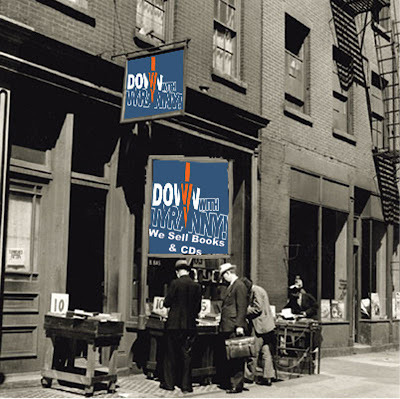 Being a professional, once he had chosen a name for his band, he knew he should, if only out of professional courtesy, track down Moe Howard of The Three Stooges and ask if it was OK. He got Moe's phone number and called and called and called. Finally, one day, a gruff Moe Howard picked up the phone and Iggy got to ask. The answer was quick: "Kid, I don't care what you call your band. You can call them any kind of stooges you like, but, just remember, there's only one (emphasis one) Three (emphasis Three) Stooges." And then he hung up before Iggy could even say thank you. 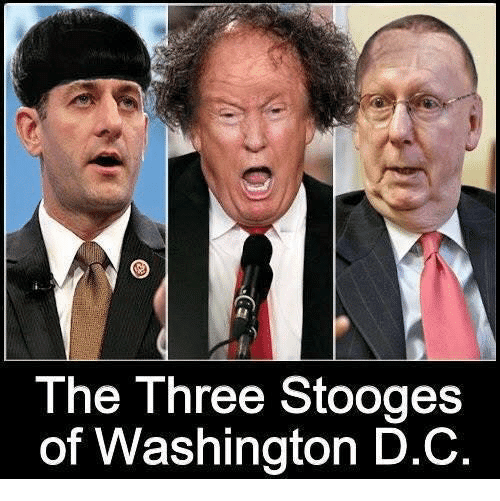 Pictures of The Three Stooges have been used for political memes for years; Bush, Obama, and now, Trumpanzee. That later goes 100% without saying of course. Trump has made being a stooge an unintentional art, and so have his co-traitors and co-conspirators Ryan and McConnell. Moe Howard was right, though. These three men should not be named The Three Stooges. The better name would be Putin's Stooges. In 1941, The Three Stooges film short "I'll Never Heil Again," This time with Moe as the Adolf Hitler character gave a prescient look into today's White House. Even the name of the country where the movie takes place, the Kingdom of Moronica, seems aptly named. Why do you hate the Three Stooges?